Ten years after the detonations of the world’s first atomic bombs and the subsequent Japanese surrender, and two years before his death, Fortune magazine published Johnny von Neuman’s “Can We Survive Technology?” It is undoubtedly the first significant mention of the SRM geoengineering thesis and arguably the first mention of the modern theory of man-made global warming. It is interesting to note that the first words written at the top of the first page read, “The New Goals – VI.” If one glances at this phrase, one might read ‘The New Gods’ as the eye will have a tendency to amalgamate the ‘a’ and the ‘l’ in the word ‘Goals,’ turning these two letters into a ‘d’ and therefore forming the word ‘Gods.’ Maybe this is a subliminal message meant to deify von Neumann. And make no mistake, at the time, the world was standing in awe. After Manhattan Project scientists such as von Neumann had unleashed the terrible destructive power of the atom bomb and developed so many other technologies which enabled the Allied powers to win the war, top American scientists were drastically reshaping world power and were understandably respected. In fact, von Neumann in particular was a most highly revered scientist. Indeed, a strong argument can be made for von Neumann being the most revered American scientist of all time. The opening sentence rings the alarm; stating, “‘The great globe itself’ is in a rapidly maturing crisis.” He then goes over how man’s technological capabilities are stretching the Earth’s resources and how this, if unchecked, might lead to global catastrophe. In this way, “Can We Survive Technology?” predates the later global warming fear mongering of the Central Intelligence Agency (CIA) in their 1974 document “A Study of Climatological Research as it Pertains to Intelligence Problems.” This document expounds upon the notion that minor fluctuations in Earth’s average global temperature can lead to Humanity’s extinction. Never mind that Earth’s average temperature has been fluctuating for as long as Humanity has existed on Earth and Humanity has been doing just fine. They are smarter than you and they know. Just pay your taxes, take the medications and vaccinations, drink your fluoride, recognize the theory of man-made global warming as gospel truth, and die. This is what the establishment requires of us. It’s only fitting as in 1952 von Neumann became a CIA advisor. Notice how in this passage von Neumann asserts the idea that ash spewing from an erupting volcano (in this case Krakatoa) will reflect sunlight back into space and therefore cool the earth. Today’s geoengineers make this point ad nauseum. We can stop wondering where they are getting this idea from. Von Neumann’s assertion of the volcanic ash global cooling thesis here may be the first ever. Among many other assertions, he then goes on to suggest that, “Probably intervention in atmospheric and climatic matters will come in a few decades, and will unfold on a scale difficult to imagine at present.” and “The most constructive schemes for climate control would have to be based on insights and techniques that would also lend themselves to forms of climatic warfare as yet unimagined.” Von Neumann’s imagination has become reality. It is important to note here the use of the word ‘modern’ when describing von Neumann’s assertion of the theory of man-made global warming. The term ‘modern’ is used here to describe a version of the theory of man-made global warming which has entered into popular culture and is connected to the SRM geoengineering thesis. The historical or ‘old’ version of the theory of man-made global warming was relegated to academia and not connected to the SRM geoengineering thesis. Yes, your author is making these grand assertions here and now all by himself. The introduction of the SRM geoengineering thesis, in Johnny von Neumann’s 1955 Fortune piece is the demarcation point between the ‘old’ and ‘modern’ versions of the theory of man-made global warming. It is reasonable to consider the period before von Neuman’s paper as the era of the ‘old’ theory of man-made global warming and the period after von Neumann’s paper as the era of the ‘new’ or ‘modern’ theory of man-made global warming. This assertion is being made for two reasons: “Can We Survive Technology?” was the first insertion of the theory of man-made global warming into the popular culture and “Can We Survive Technology?” was the first major publication of the SRM geoengineering thesis. “Can We Survive Technology?” was designed to insert the theory of man-made global warming into the popular culture. Before “Can We Survive Technology?,” the theory of man-made global warming was relegated to scientific journals and obscure books. Much of the material was in German. Articles and books relegated to scientific journals and/or foreign languages don’t tend to get a lot of attention from the American public. 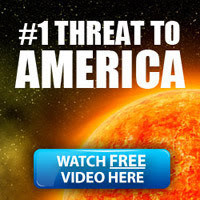 This article, published in a popular American magazine, opened the theory of man-made global warming up to many millions of minds … and we have seen how far they have ran with it since! Corrupt politicians and bureaucrats across the globe have artificially shoved this lie into the center of the Overton window. That process had to start somewhere and “Can We Survive Technology?” was the beginning of that process. The other factor determining von Neumann’s piece as the demarcation between old and new is the introduction of the SRM geoengineering thesis. The SRM geoengineering thesis effectively weaponized the theory of man-made global warming. Weaponization in this case requires a huge expansion of the military-industrial-academic-intelligence complex. This meant a big, fat gravy train and all parties involved were all for it. Johnny was not alone. Von Neumann and pretty much all of the other top Manhattan Project scientists were proponents of what they called ‘planetary engineering;’ analogous, of course, to today’s geoengineering. In essence, pretty much all of the other top Manhattan Project scientists were proponents of weather control. Following von Neumann’s lead, other prominent scientists later came forward with the SRM geoengineering thesis and/or the theory of man-made global warming. The first three examples of the SRM geoengineering thesis are all written in the context of weather modification. Two out of the first three examples of the SRM geoengineering thesis also mention the theory of man-made global warming. In June of 1958, weather modifier and science adviser to the president Howard T. Orville wrote an article for Popular Science magazine titled “Weather as a Weapon” which asserted the theory of man-made global warming in addition to the SRM geoengineering thesis. The next major incursion in their information war waged against the American public came with the release of a 1965 document emanating from the LBJ White House in 1965 called “Restoring the Quality of Our Environment.” This Orwellianly (Is that a word?) titled document asserts both the theory of man-made global warming and the SRM geoengineering thesis. This document is particularly significant because it was issued by the Executive Branch of the United States Federal Government. When documents are issued by the Executive Branch of the United States Federal Government, all government offices must review it and be in general compliance. The modern theory of man-made global warming and the SRM geoengineering thesis have a symbiotic relationship. The SRM geoengineering thesis supercharged the old theory of man-made global warming. At the same time, the SRM geoengineering thesis barely exists without the theory of man-made global warming. It only makes sense that both would be introduced and/or upgraded at the same time. “Can We Survive Technology?” was a weaponization of the theory of man-made global warming and therefore a green light to the military-industrial-academic-intelligence complex. Up until the publication of “Can We Survive Technology?” the theory of man-made global warming was only something that existed as just that; a theory. When the theory of man-made global warming was linked to the SRM geoengineering thesis, the military-industrial-academic-intelligence complex had a new enemy to fight; the climate. A new enemy to fight means more basic science, new weapons systems, and intelligence agency cover. In other words, it means a mountain of power and cash raining down upon them. In 1955 von Neumann handed the military-industrial-academic-intelligence complex an argument for tremendous expansion and they have taken him up on it ever since; spending vast sums on weather modification and the atmospheric sciences. In fact, it wasn’t long after von Neumann’s 1955 Fortune piece that the American military-industrial-academic-intelligence complex was the beneficiary of tremendous across-the-board spending increases catalyzed by Russia’s Sputnik launch of 1957. Yes, due to advancing technology and population growth, Earth’s resources are currently being depleted at an unsustainable rate. And yes, we have lots of big environmental problems. But man-made global warming is not one of them and the solutions offered by the establishment are wholly inadequate and counterproductive. For crying out loud, their solutions to these problems are spraying the Earth with toxic chemicals and death. Their so-called solutions are worse than the problems. Their solutions are massively destructive, cruel, and unsustainable. Mom taught me that there is always a better solution and I taught me that the solution will not come from the top down as have these non-solutions offered by the establishment. All real solutions come from the bottom up. The solutions are free energy, better governments and the colonization of other planets. But those solutions are too empowering for Humanity. Those solutions embody far too much common sense. Our rulers do not operate on common sense or empowering Humanity. They operate on greed, selfishness, and fear and that is why this modern theory of man-made global warming and the SRM geoengineering thesis are chosen and promulgated. That’s why their ‘solution’ wrecks our environment. I challenge the audience to find an earlier published mention of the SRM geoengineering thesis. These early mentions are almost all made in combination with the theory of man-made global warming. Delingpole, I’m ready for my close-up! Morano, are you up to the challenge? Monckton, I’ll give you a civil debate. Steyn, I’ll take em’ all on! Seriously, if somebody out there knows any of these leading climate heretics: James Delingpole, Marc Morano, Christopher Monckton, Mark Steyn and/or others; please pass this article on to them, I want to know what they think. Separately I’ll be sending this article to them via their respective websites. WE ARE IN A WAR, PEOPLE!!! THEY ARE TRYING TO MAKE YOU BELIEVE THAT AN APPLE IS AN ORANGE SO THAT THEY MAY KILL YOU AND EVERYTHING ELSE ON THE PLANET! I SUGGEST THAT WE REFUTE THEIR ASSERTIONS! Please share this link. Thank you. 2 Comments on "Can We Survive Technology? The Origin of SRM Geoengineering and the Modern Theory of Man-made Global Warming"
Are we to wander in ignorance about the origins of SRM geoengineering and the modern theory of man-made global warming? Is this article just more earth shattering information that will never receive the attention it deserves? I understand. It’s just me asserting this right now, so how could have so many others not seen this earlier? I don’t know the answer to that question. I do know it’s the truth, though. Take the challenge. I bet that nobody, and I mean nobody, out there can find an earlier mention of the SRM geoengineering thesis. If someone does find an earlier reference, then I want to work with you. I will be paying attention to the audience. The unholy ones will stop only at the commoners demise.